Come enjoy My Place Bar & Grill’s unique atmosphere! Our tasty cuisine includes thin crust pizzas, pastas, steaks, seafood, chicken, fresh salads and so much more. 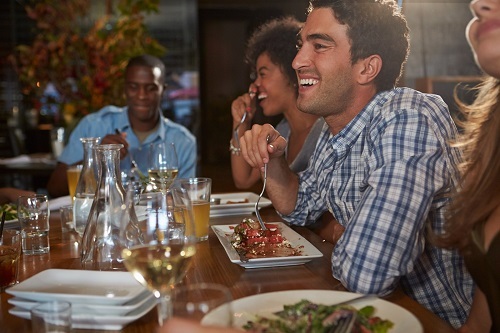 Come in for a quick lunch, an intimate dinner, a late night cocktail or our Sunday breakfast buffet and bring the whole family! We have a kid’s menu sure to delight even the most finicky eaters. Come dine on our patio complete with an outdoor fireplace, or enjoy a cocktail inside our comfortable restaurant. We offer a diverse wine and cocktail list, daily features, special events and group packages for special occasions. Great for any occasion. 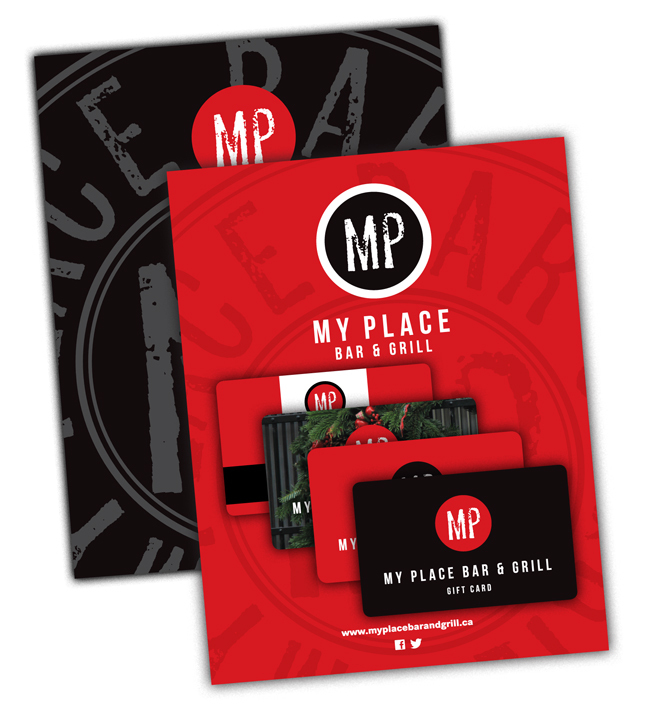 The My Place Gift card is available in any amount starting at $25 and can be reloaded at any time. Use it for lunch, dinner, breakfast or for casual drinks. To purchase your gift card, please visit our restaurant at 20 Highway 20 in Fonthill, ON. We accept cash, debit or credit cards.